More than 327 people have been killed following a powerful earthquake that struck south-west Pakistan on Tuesday, September 24, 2013. 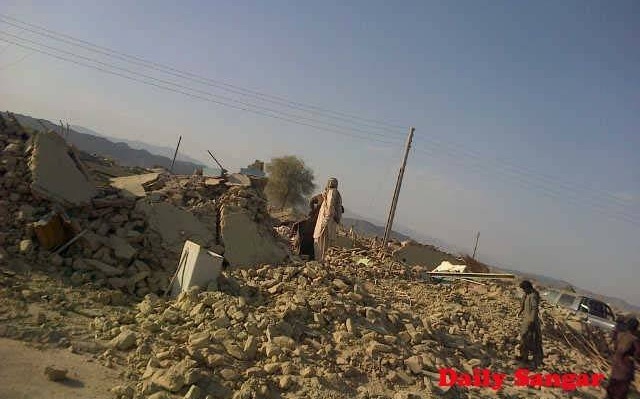 The epicentre of the 7.7 magnitude earthquake was 120 kilometres southwest of Khuzdar in Balochistan Province at a depth of 10 kilometres. Provincial authorities in Balochistan declared an emergency in Awaran District. The News reported another hundred people have been reported injured. The Baloch Hal, a local online newspaper, published a number of early pictures of the devastation. On the Gwadar coastline, the quake created a small island about half a mile into the sea near an area called ‘Jhanda’, according to Express Tribune. Tremors reached as far as northern India, Iran, the United Arab Emirates and Oman, according to the United Nations Office for the Coordination of Humanitarian Affairs. 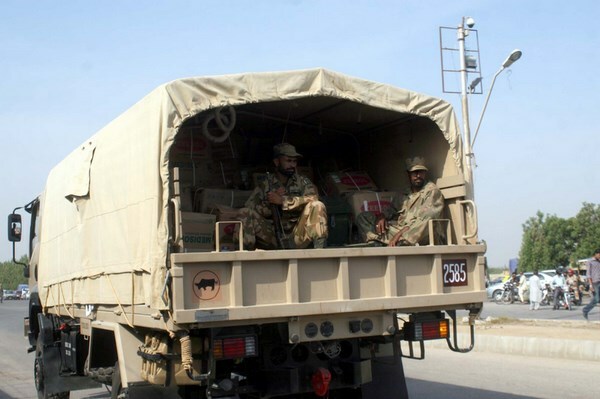 Director General Inter Service Public Relation (ISPR), a directorate under ministry of defense, Major General Asim Bajwa (@AsimBajwaISPR) tweeted that 300 soldiers are already in the area, with the number expected to rise to 1000 by tomorrow morning. Khuzdar would be used as base for the rescue effort. A tweet from Jihandad Baloch (@BalochTawar) regrading Director General ISPR, Major General Asim Bajwa's tweet. Meanwhile, the Baloch Liberation Front (BLF) warned through BBC Urdu that if the Pakistan army made any doubtful activity in affected areas, the group would strike at them. Remember that BLF is a separatist militant group in Balochistan, demanding the freedom of Balochistan from Pakistan. United Nations Office for the Coordination of Humanitarian Affairs offered Pakistan government for help in ongoing rescue operation. The United Nations and its humanitarian partners stand ready to support the Government’s ongoing relief effort for the people affected by the earthquake and mobilize any international support, if requested. Amid all of these, some Pakistani netizens started a campaign under the hashtag #PossibleNamesOfNewIsland to think of a name for the island that the earthquake created, as Express Tribune reports. More tweets and reactions from #BalochistanEarthquake. #BalochistanEarthQuake Pak army is spreading lies through controlled media in order to frighten the Int'l aid agencies from visiting d area. #BalochistanEarthQuake sadly another opportunity for Hafiz Saeed's JuD to make in roads in #Balochistan as Govt will fail to provide relief.